118ml (4oz) Apply 3 coats to your piece. On vertical pieces: taper the coats towards the bottom of the piece to prevent against glaze running off the ware. 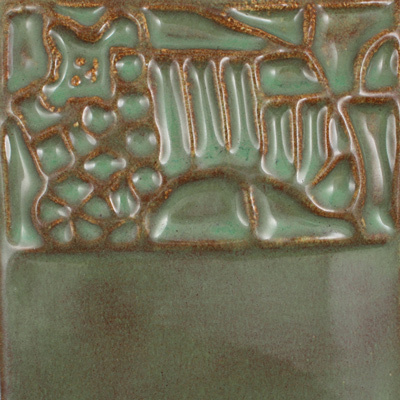 An uneven glaze application, the pieces shape and surface texture can affect the fired finish. Elements glazes were designed to mature at a shelf cone 06 (999 C). Some Elements may produce pleasing effects when fired to cone 6 (1222C); all will change colour. Highly recommend doing test samples before a large project.